To know the price of Gold or Silver coin, a common man of India faces ever intriguing questions whether is this best price available in the market? Is the Jeweller charging me more? Will I get a better deal from some other Jeweller? If the price is fixed, the questions arises, Are the goods pure? Can I trust the brand? Questions, Questions and only Questions to invest in what you love, trust and depend in the times of uncertainty i.e. Gold & Silver. 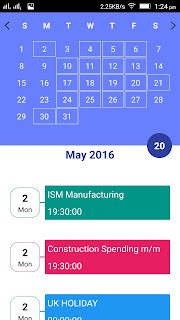 To solve these questions, RSBL is glad to launch RSBL SPOT app on iPhone and Android compatible phones for one and all. 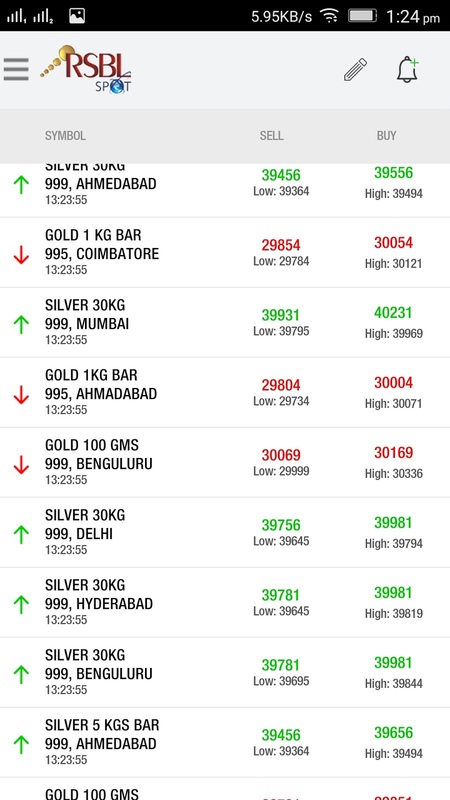 A unique app that gives a user an access to Gold, Silver and Platinum live transparent benchmark prices across India! 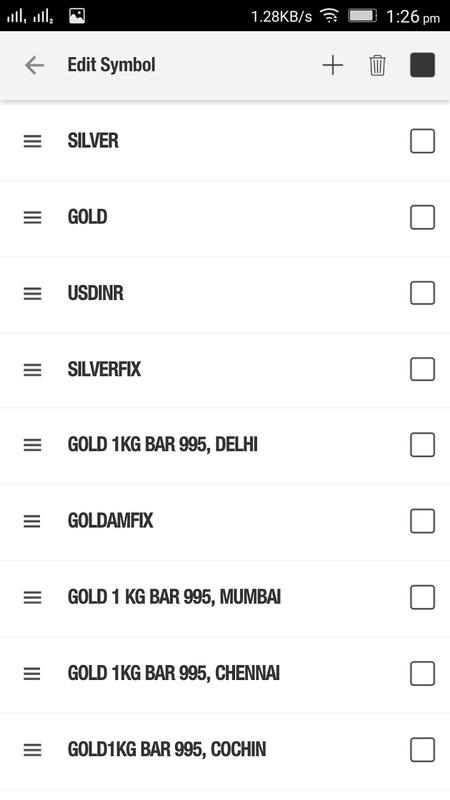 RSBL SPOT is spread over 18 centers across India and the RSBL SPOT app user would get benchmark two way Buy/Sell quotes of more than 40 Symbols of Gold, Silver and Platinum which includes coin prices too across Indian markets. 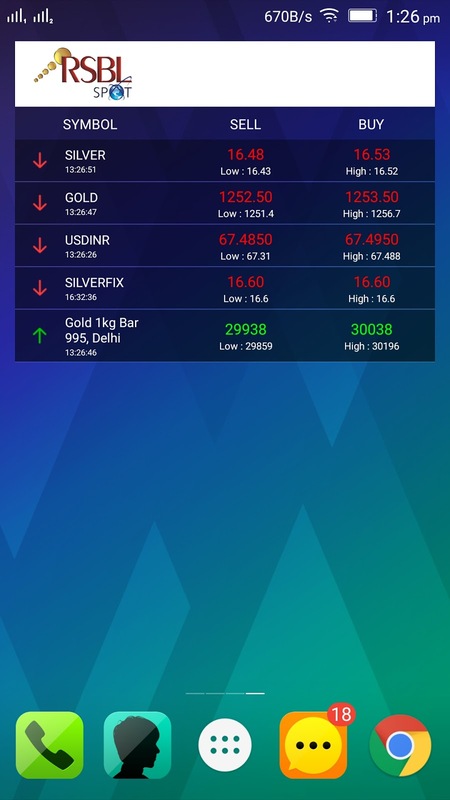 An app that gives an investor an edge while investing in Gold, Silver or Platinum. 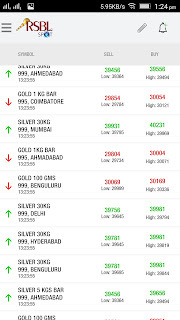 Live international Gold and Silver prices. Live rates on home screen via Widget (Android compatible phones only), even when the app is closed. By registering yourself for free, you can insert price alerts. RSBL Spot is India’s leading platform for online physical bullion and coins sales with delivery centres spread across the country. RSBL Spot prices are transparent, two-way and continuous. They are the benchmark prices for majority of dealing by all jewellers. 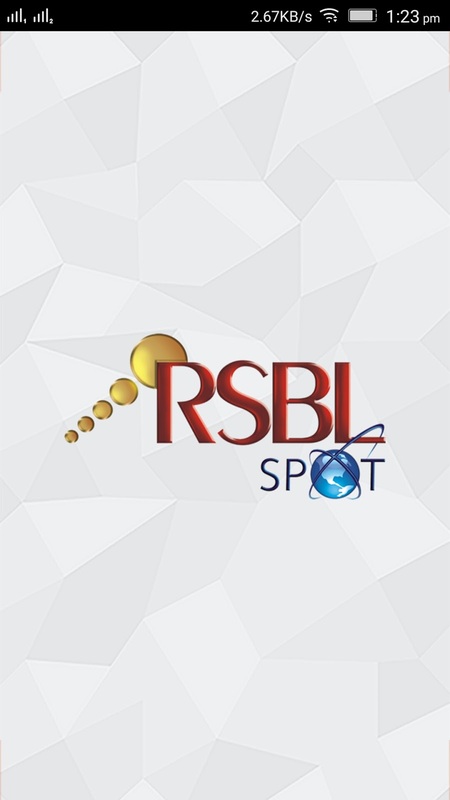 RSBL Spot has revolutionized the bullion trading system in the spot market and is done at par convenience. 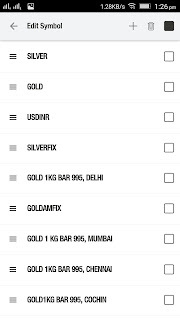 Its objective is to maintain and improve its market leadership in providing customers with the most effective prices for dealing and physical delivery of gold and silver. 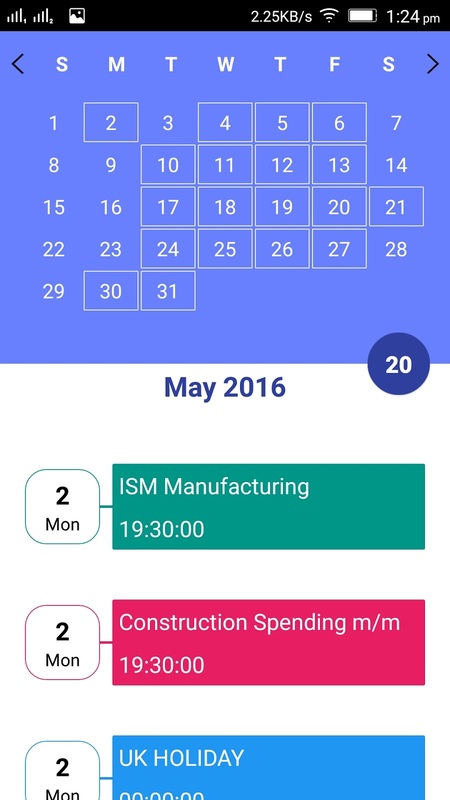 RSBL SPOT app comes with features that are never seen before! Make the most of this opportunity!